Nicole and Juan are married! Their wedding was full of class and elegance. 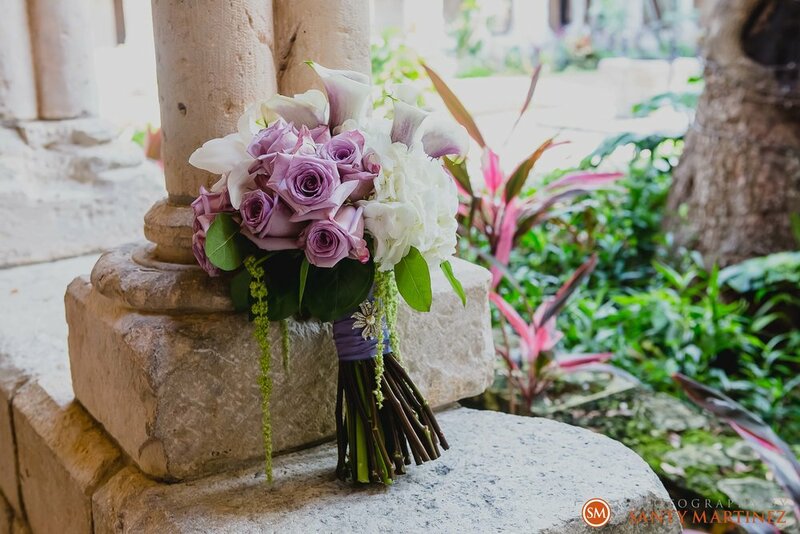 The color palette of violet, lavender, and purple was executed perfectly, from the bridesmaid dresses, to the bouquet, to the reception centerpieces at the Ancient Spanish Monastery in North Miami Beach, FL. We loved capturing it all! Nicole wore a beautifully fitted gown with lace detail and a cathedral veil. 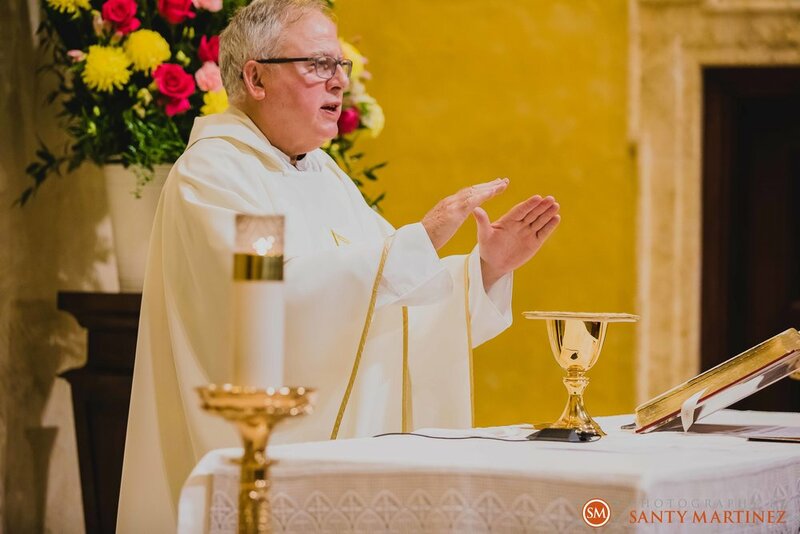 She looked simply stunning as she walked down the aisle at St. Francis De Sales Catholic Church in Miami Beach, FL. 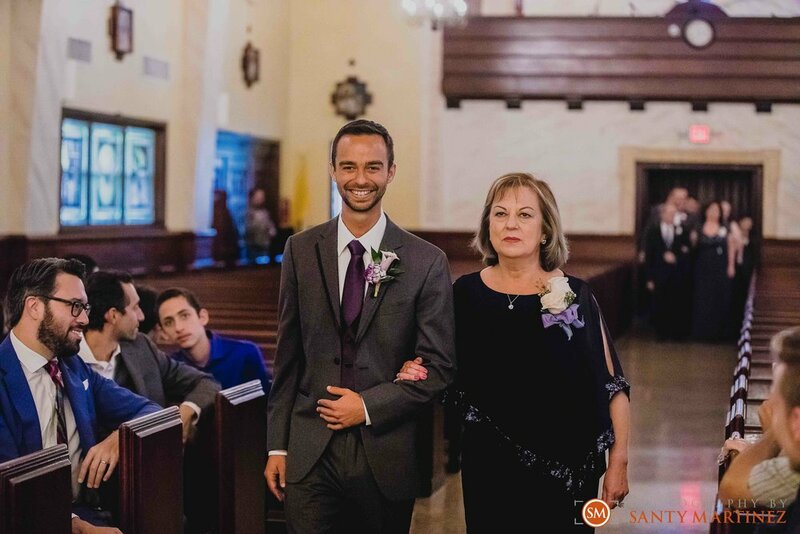 Juan looked quite dapper himself as he waited for his bride’s grand entrance. 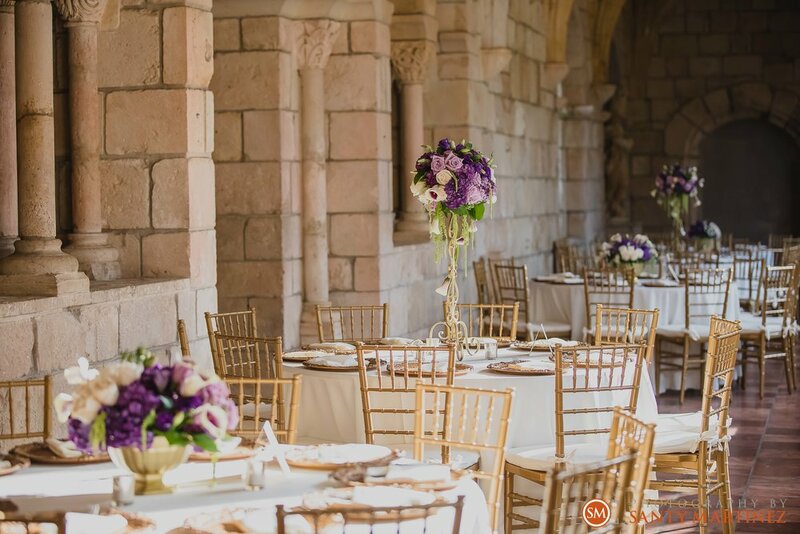 Every detail in Nicole and Juan’s wedding was thoughtfully placed and they truly had the perfect setting for their wedding day. 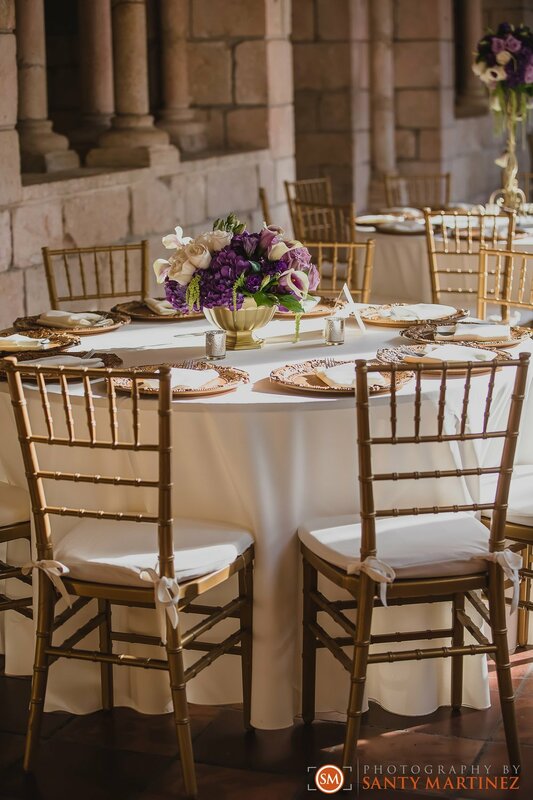 However, after getting to know the couple, it is with great confidence that we say, the most shining detail at their wedding was the love they share for each other. 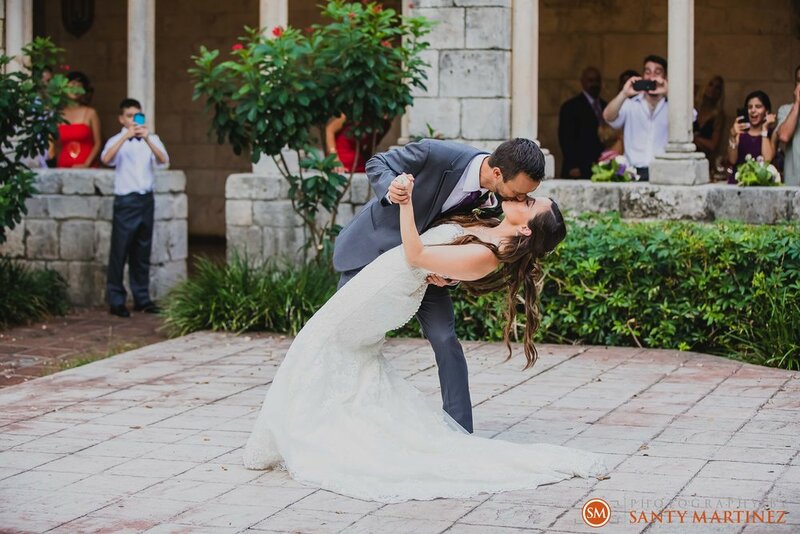 It was evident in every aspect – their vows, the way they looked at each other during portraits, the way Juan dipped her during their first dance – these two are something special together! This love for each other coupled with the sheer emotion displayed by friends and family who were present is what made this wedding special. These are the moments that we, as wedding photographers, wait for and adore! 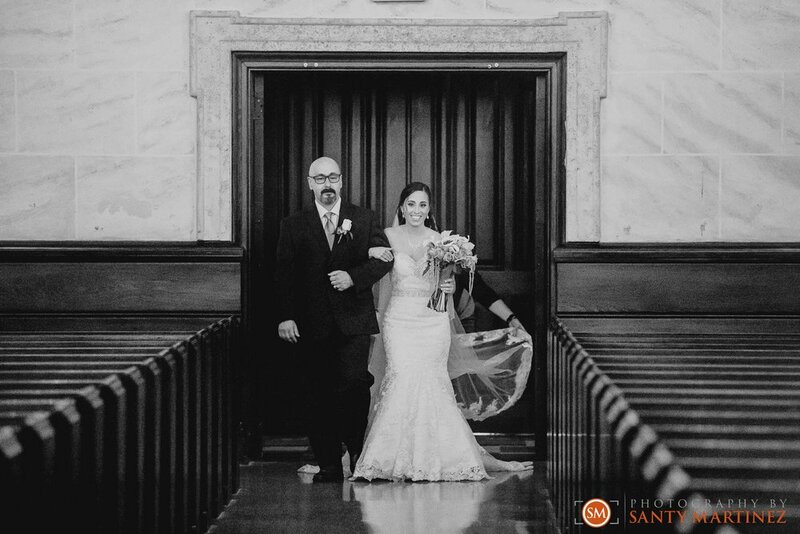 We felt honored to be able to capture them for Nicole and Juan. 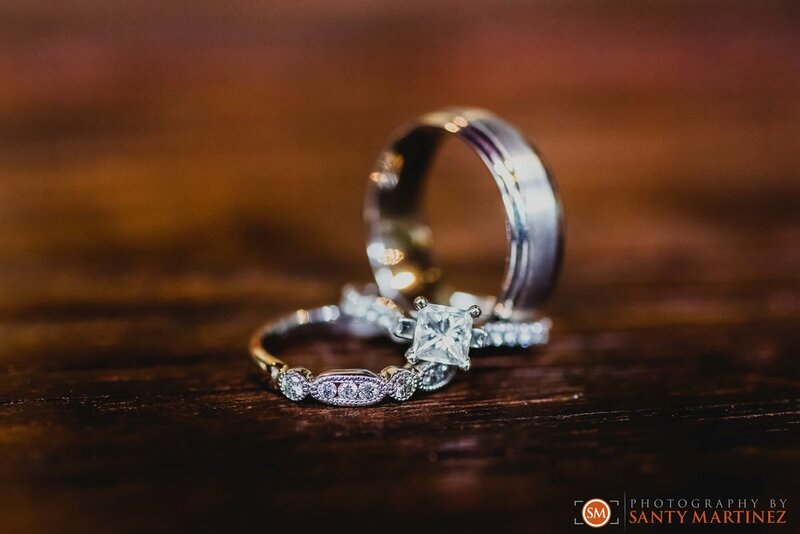 As wedding season is now in full swing, we look forward to capturing all of our upcoming Fall weddings! 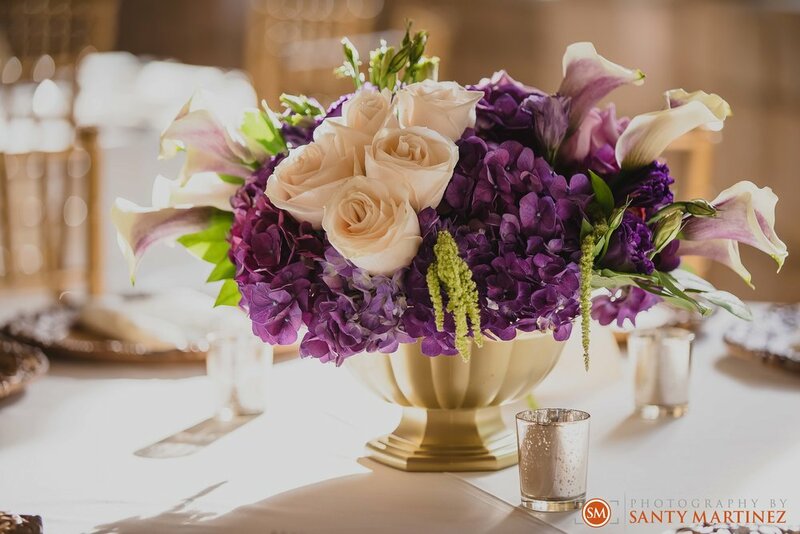 Historically, Fall is also a busy time of year for us at Photography by Santy Martinez as we meet with new couples that are booking for their future weddings. Many if not most of the couples we have been meeting with are booking our services up to a year or more in advance! 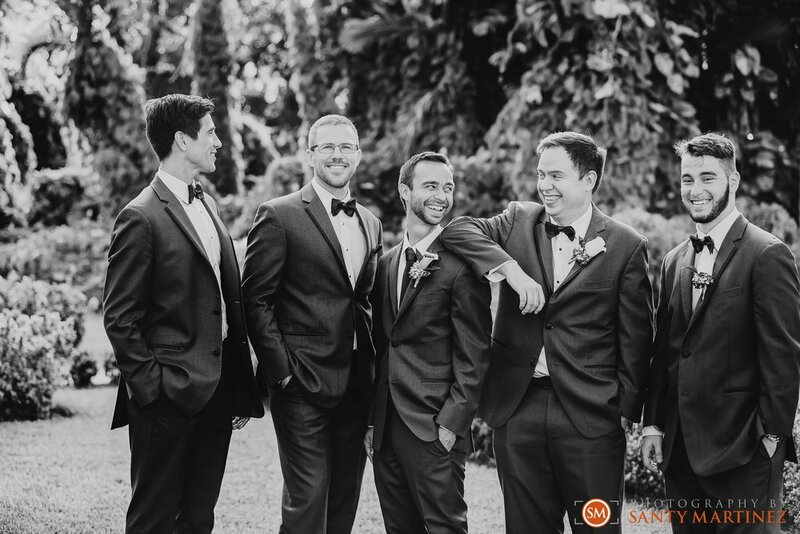 This truly increases the chance that we are available for their wedding date as popular dates do fill up quickly. If you are currently in search of wedding photographers for you big day, we encourage you to fill out our contact form and we will be happy to meet you. Hopefully we will be capturing your magical moments too! 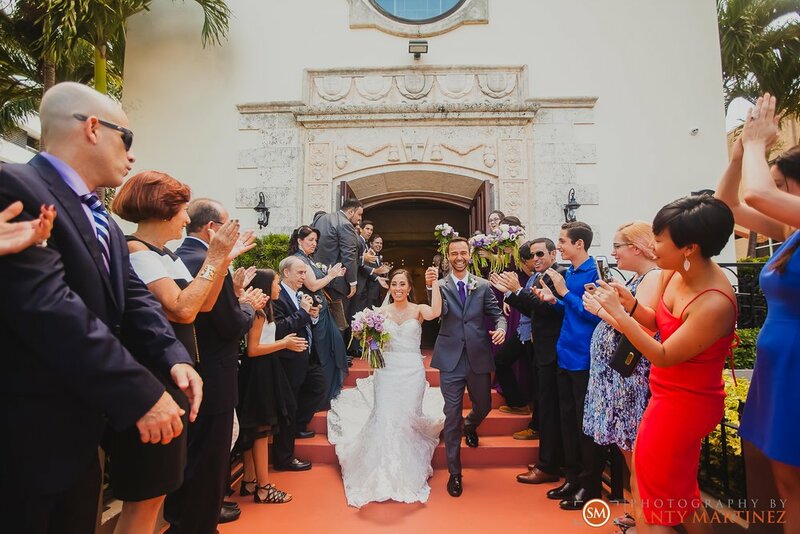 We hope you enjoy the following highlights from Nicole and Juan’s wedding and join us as we congratulate the newly weds!